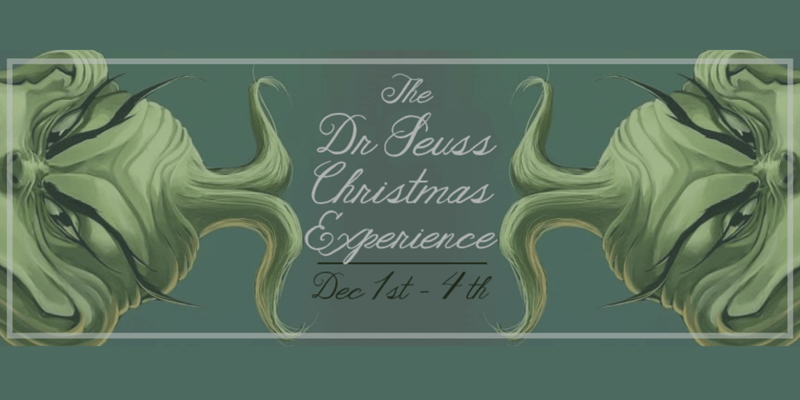 Join us this December as we create an experience inspired by one of our favourite childhood writers… Dr Seuss. Step into another world in one of the most beautiful venues in Dublin, a 300 year old tenement building where time stands still and the real world disappears. We will have our hosts guide you through the drawing room for hot drinks by roaring fires to music and performance. All the way up the winding historic steps of this old house to the dining room above. This an unconventional venue and therefore quite an unconventional experience! We will treat you to an evening of theatre, spoken word, music, art and food inspired by Dr Seuss. The experience includes: a welcome drink, roaring fires in a 300 year old Georgian house, food, performance and music. This exciting event is BYOB, so bring your own bottle of something sparkly! Running from Thursday Dec 1st – Sunday Dec 4th, we'll be kicking off each evening at 7pm with a scrumptious welcome drink. Doors will be closed at 7.30pm so that we can move the party upstairs. N.B. Please let us know if you will be requiring the vegetarian option at booking. As it is a pop-up kitchen, we need will to know number of veggy option in advance. Also let us know if you have any food allergies and we will do our best to accommodate you.